Elven Eyes is the web's best fan-site for Legolas Greenleaf, the Elf from Tolkien's realm of Middle-earth. Well, actually it's more like for the Legolas in the movies, The Lord of the Rings. I think the movie-Legolas is just so totally cute! The cutest Elf I've ever seen! 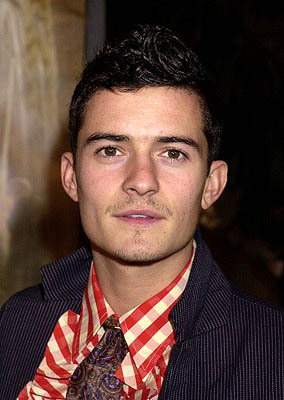 This site features a big Legolas image gallery, polls, background info on Legolas Greenleaf and Orlando Bloom (the actor). And yes! A Confession Center - a place for all you fellow Legolas-crazy gals to share your feelings with the rest of us! And THANKS to all the ppl. who sent me reviews! I saw TTT first on the Sat. it came out. I'll be starting a new page in the Galleries soon, so check back again! THE TWO TOWERS IS OUT TODAY!!!!!! I CAN'T SEE IT UNTIL AT LEAST FRIDAY!!!! NOOOO... Please, girls, E-mail me and tell me about the movies, for those who have seen it! How does Legolas act in there?!?! How many times does he come on screen?!?! AHhhhh... this is cruel torture!!! SORRY I HAVEN'T BEEN UPDATING THE SITE LATELY! You see, I actually have a very good excuse: My computer completely crashed when I was compressing C drive, adn my dad went all purple and fuming and had to run out to buy a new one before 3pm, cuz he had this big translation project due at 9pm!!! So, yeah, it's been kinda hectic and tough for me... My dad is scared I'll screw up the computer again, so I'm limited to how much time I can go online for the time being. But I do PROMISE I'll be back tomorrow with new pictures for the gallery, and I'm also planning new sections to this site. (What do you ppl suggest?) Check back lay-ta! The school season's here, and my parents are making me go even though I will be leaving this world forever this winter. (If you're new around here, start with my earlier entries first.) Lots of homework, and nothing worth learning. I'd rather stay home and work on my Sindarian vocab. Hi peeps. You may experience problems accessing the Guestbook and the Confession Book today, 'cause today's Labor Day, so the server's down. Sorry! It will be back tomorrow! School starting tomorrow! Nooooo... Well, at least I got the prospect of me & Lego's wedding to keep me going. Yeah! Elven Eyes has now over 30 000 hits! Thank you! New poll: How do you pronounce Legolas' name??? I actually pronounce it as Luh-goh-lass?but I seem to be losing. Vote here! Anyway, continuing my story about me & Lego, we will be married this winter! (Har, har, My mother has stopped trying to convince me he's too old, but she's now worried about my school life?as if I still have a future in the present?No, my future rests in the past. CHECK OUT THIS PIC OF ORLANDO!